Speculation has swirled for years that Google was working on an OS of its own. Now comes word that the search juggernaut does indeed have a desktop OS project. 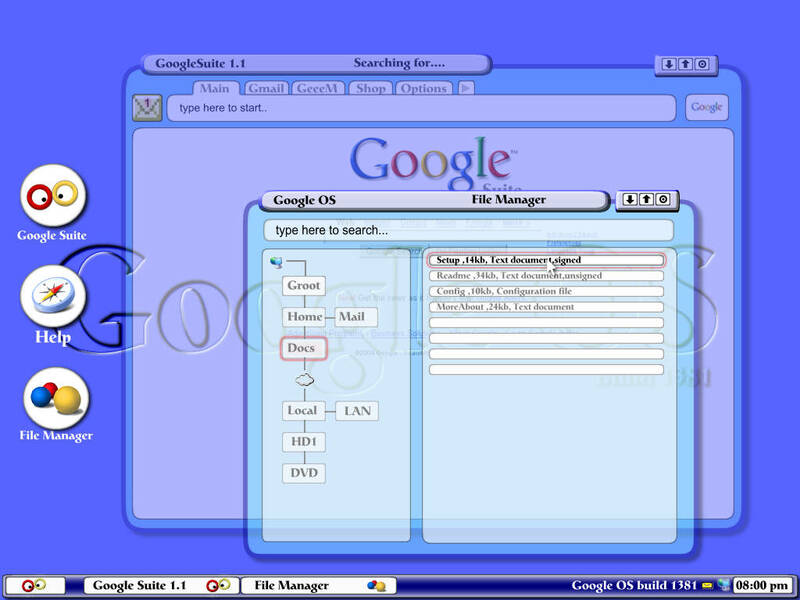 Google has confirmed to The Register it is working on a desktop Linux project called Goobuntu (screenshot). The company described the OS as a variant of Ubuntu Linux, a desktop Linux distribution based on Debian GNU/Linux, but offered no further details, leaving The Register to speculate that it may be little more than one of the toys Googleplex engineers play with on Fridays, when they get time off from buffing the search engine code or filtering out entries about Tiananmen Square. lol… what a Goobawful waste of time. Are they serious??? That is the most god-awful interface/GUI I have ever seen. Reminds me of Windows 1.0. This is a joke, right? Right???? Hm. On one hand, there’s built-in encryption, or at least file signing. On the other hand, there’s a “Shop” tab.